15 Commonwealth is located on the north side of Commonwealth, between Arlington and Berkeley, with 13 Commonwealth to the east and 17 Commonwealth to the west. 15 Commonwealth was designed by Snell and Gregerson, architects, and built in 1865-1866, as the home of William Dudley Pickman and his wife, Caroline (Silsbee) Pickman. An August 19, 1865, Boston Daily Advertiser article commented that the house was “to be built of light olive free stone from a new quarry in Dorchester County, New Brunswick, in what is known as the modernized Roman style of architecture. The first and second stories of the house will be finished in black walnut and a portion of the staircases are to be of solid oak. The large and sumptuous entrance hall will be finished in the best style of work. This splendid residence will not be completed until next summer.” The article appears to have meant that the trim would be of olive free stone, inasmuch as the house, as built, was brick. William Pickman purchased the land for 15 Commonwealth on February 10, 1863, from Richard Codman. It had changed hands previously several times, and originally was part of a larger tract that had been purchased from the Commonwealth of Massachusetts on May 2, 1860, by shipping merchant and US Congressman Samuel Hooper. The tract extended west from the lot where 11 Commonwealth would be built to the corner of Commonwealth and Berkeley. Samuel Hooper and his wife, Anne (Sturgis) Hooper, built their home on the corner lot, at 27 Commonwealth. Click here for an index to the deeds for 15 Commonwealth. The Pickmans previously had lived in Salem, where William Pickman was a shipping merchant in his family’s firm. William Pickman had succeeded his father (who died in 1846) and moved the firm to Boston in the mid-1860s. William and Caroline Pickman also maintained a home in Beverly. The Pickmans’ two children – Dudley Leavitt Pickman and Fanny Pickman – lived with them. Fanny Pickman married in October of 1877 to William Fisher Wharton, an attorney who later would serve as Assistant Secretary of State in the Benjamin Harrison Administration. 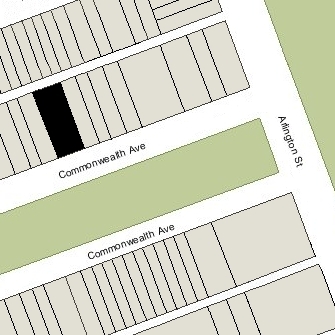 After their marriage, they lived at 18 Marlborough and then at 133 Commonwealth. She died in October of 1880, their only child, William Pickman Wharton having been born two months earlier. Dudley Leavitt Pickman was a partner with his father in his family’s shipping merchant firm. He married in May of 1884 to Ellen Rodman Motley. After their marriage, they moved to an apartment in the Hotel Agassiz at 191 Commonwealth and then at 98 Beacon. William Pickman died in February of 1890. In his will, he left 15 Commonwealth and the home in Beverly to his wife, property on Summer Street to Dudley Pickman, and the residue of his estate in trust for the benefit of his wife, their son, Dudley, and their grandson, William P. Wharton. He named Dudley Pickman, William F. Wharton, and Walter Hunnewell as trustees. Caroline Pickman continued to live at 15 Commonwealth until her death in February of 1898. On June 29, 1898, 15 Commonwealth was purchased from the estate of Caroline Pickman by Oliver Ames. He and his wife, Elise Alger (West) Ames, made it their Boston home. During the 1895-1896 winter season, they had lived at 151 Commonwealth. They also maintained a home in North Easton. Oliver Ames was treasurer of Oliver Ames & Sons, the pick and shovel business founded by his great-grandfather in North Easton, and an investor in real estate, railroads, and other businesses. He was known as Oliver Ames, II, until the death in 1895 of his father’s first cousin, former Governor Oliver Ames, who had lived at 355 Commonwealth. 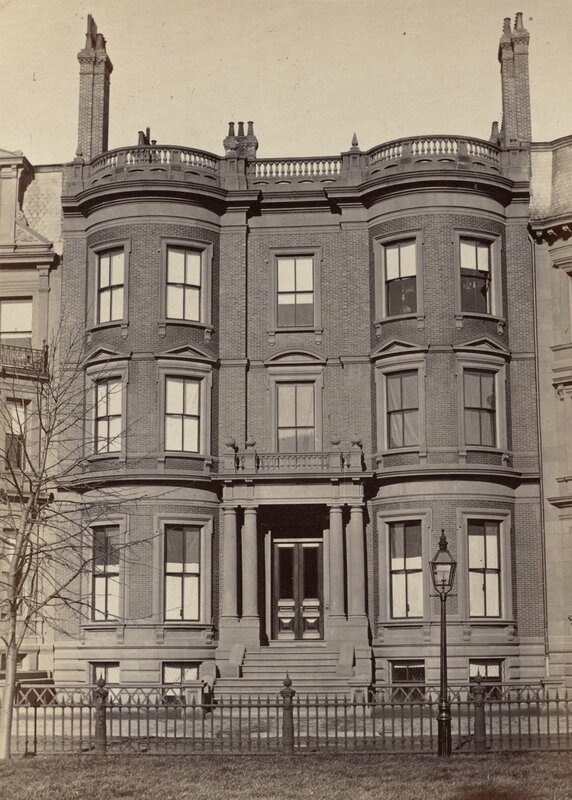 After acquiring 15 Commonwealth, the Ameses remodeled the house, including adding a four-story bay in the rear and an additional story for servants’ rooms, set back behind the existing balustrade and with a mansard roof. The remodeling was designed by architects Shepley, Rutan, and Coolidge. They also had the interiors remodeled extensively by architect and interior designer Ogden Codman, Jr..
Oliver and Elise Ames continued to maintain a home in North Easton and in about 1904 had another home built in Prides Crossing, High Wall, designed by Ogden Codman, Jr.
On July 10, 1918, Oliver Ames entered into a party wall agreement with Malcolm Graeme Haughton, who had purchased 13 Commonwealth, to the east, the month before. Oliver Ames died in June of 1929. Elise Ames continued to live at 15 Commonwealth until her death in December of 1945. On June 30, 1946, 15 Commonwealth was purchased from the Ames family by Frederick J. Bashaw, and on November 6, 1946, he sold the property to the Boston Business Institute, of which he was president. In February of 1947, the Institute applied for (and subsequently received) permission to convert the property from a single-family dwelling into a school to be operated by the Boston Business Institute’s School of Real Estate Practice. Plans for the remodeling, designed by architect William Hoskins Brown – including floor plans, a rear elevation, and fire escape plans – are included in the City of Boston Blueprints Collection in the Boston Public Library’s Arts Department (reference BIN R-78). 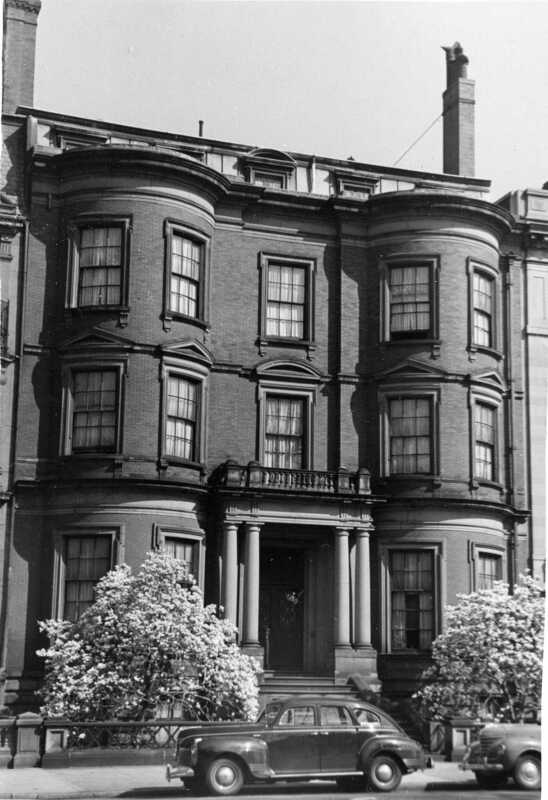 On October 16, 1951, 15 Commonwealth was acquired from the Boston Institute (formerly the Boston Business Institute) by the Boston Institute Real Estate Trust, and on November 14. 1951, it transferred the property to the Institute Realty Trust. According to The History and Architecture of #15 Commonwealth Avenue, by Dr. William C. Ackerly (October 30, 1995), the new owners planned to convert the property into an embalming school. On December 4, 1952, 15 Commonwealth was acquired from the Institute Realty Trust by the Boston Psychoanalytic Society and Institute. It previously had leased space at 82 Marlborough. In November of 1952, prior to completion of the sale (and probably as a condition for its completion), the Institute Realty Trust applied for (and subsequently received) permission to convert the building for use by the society. 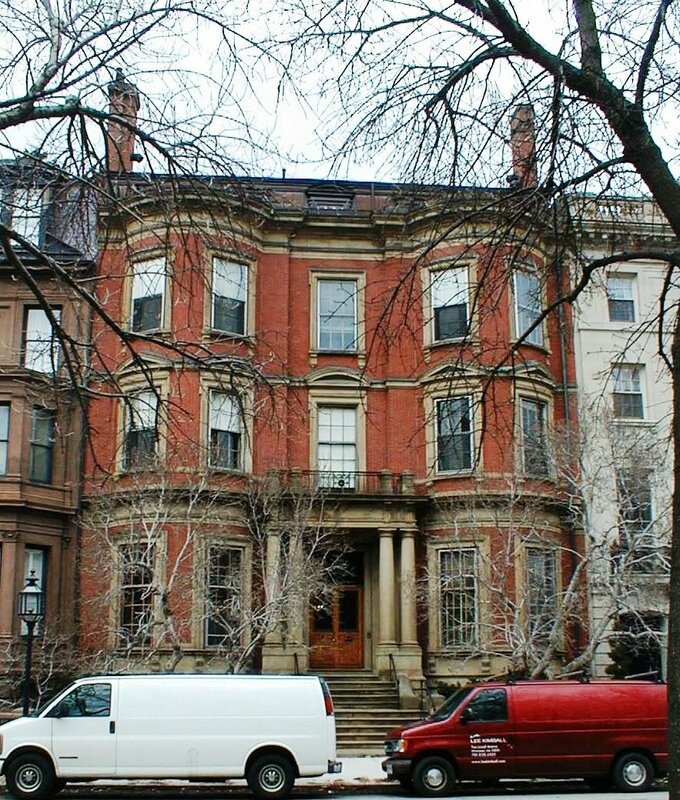 The Boston Psychoanalytic Society and Institute formally occupied the building on February 28, 1953. In 1972 and 1985, it further remodeled the interior to accommodate the society’s changing requirements. On September 30, 1987, the society transferred the property to the BPSI Supporting Corporation. The society continued to be located there until 2012, when it moved to Newton Centre. On March 27, 2012, Thomas E. Peckham, trustee of the 15 Commonwealth Avenue Trust, purchased 15 Commonwealth from the BPSI Supporting Corporation. In October of 2012, Thomas Peckham applied for (and subsequently received) permission to convert 15 Commonwealth back into a single-family dwelling and to install an interior garage.